We’d love to hear from you – drop us an e-mail here or contact us on 021 447 6094. 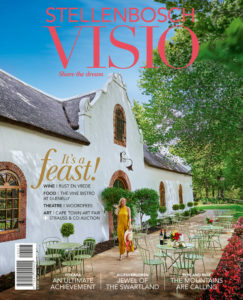 Stellenbosch Visio carries limited advertising, for more information call 021 447 5581 or drop us an e-mail. Click here to subscribe to our e-newsletter, print or the digital version of Stellenbosch VISIO.